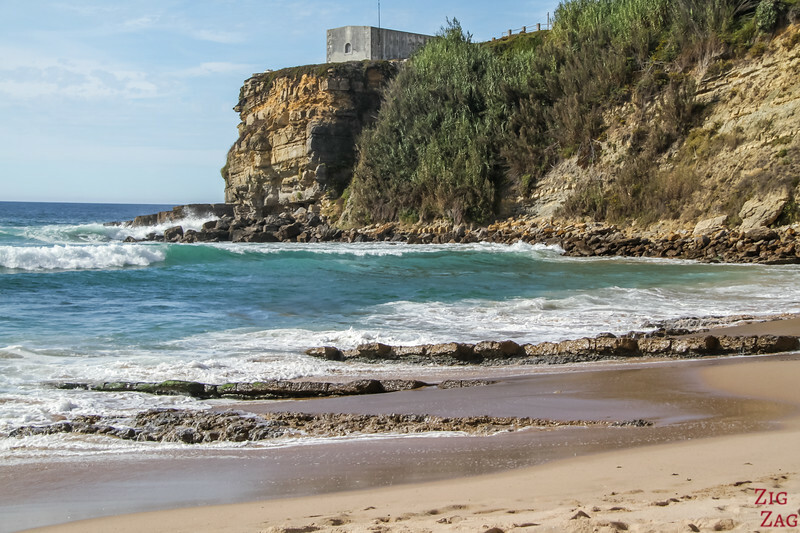 Located in Sintra-Cascais National Park, Praia do Magoito is one of the most impressive Portugal beaches. 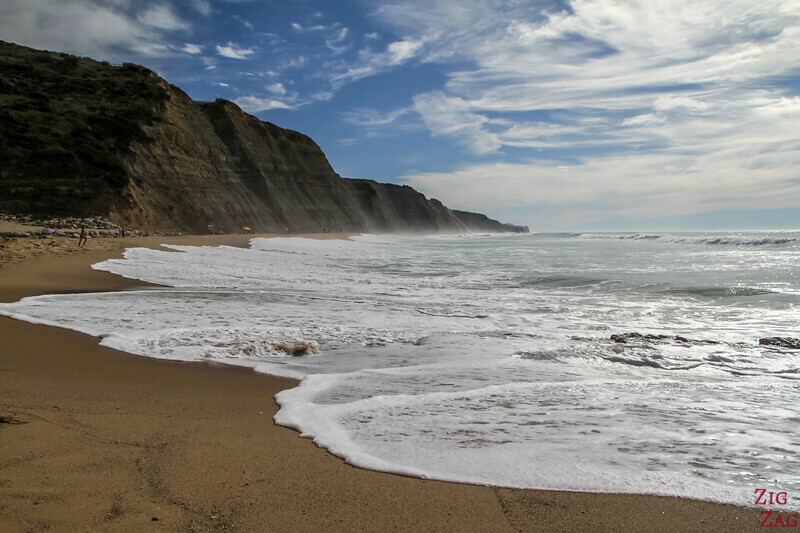 The dark cliff of Magoito beach is well completed by the rocks, the waves and the solidified sand dune. 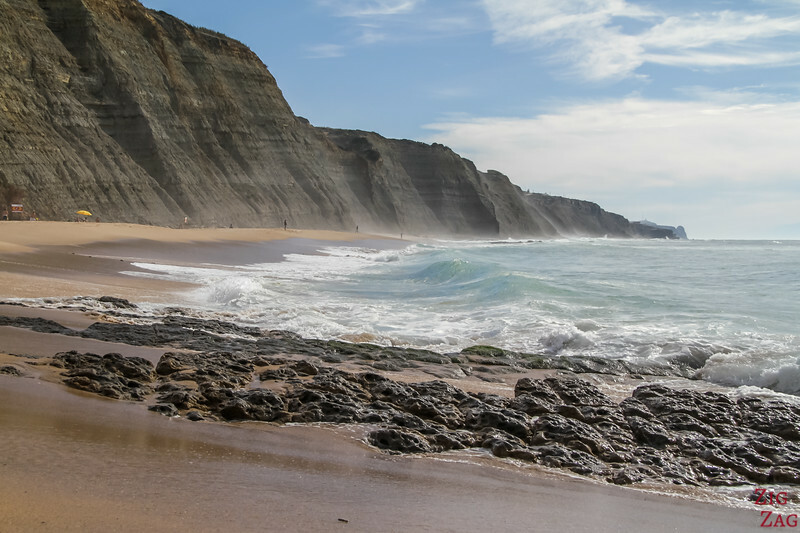 A pleasure of those in love with wild landscapes, beaches and geology. A place not to be missed! 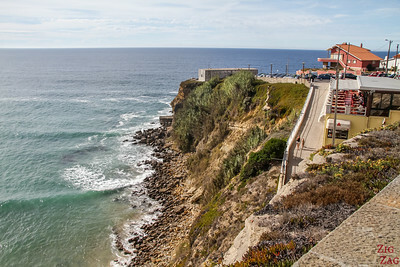 The parking of Magoito Beach is located on top of the cliffs. This is why you can get splendid views of the the long stretch of sand from above. 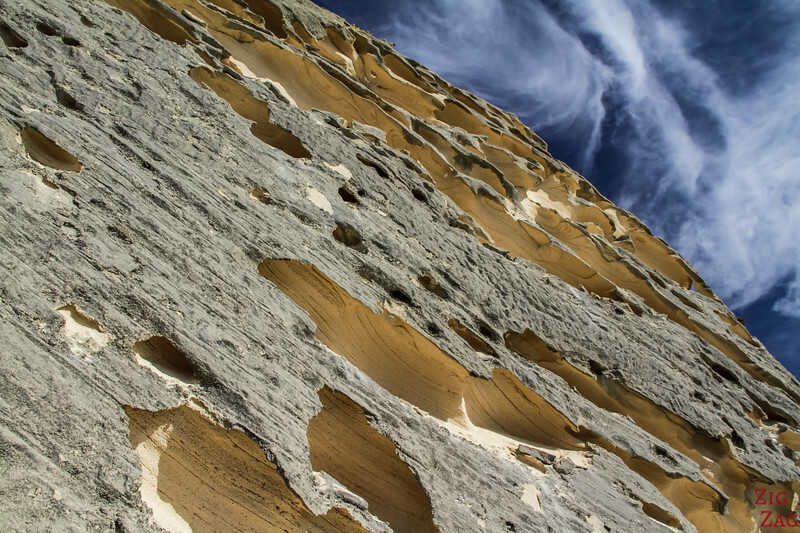 This is the best place to admire the impressive dark wall straight up from the beach. 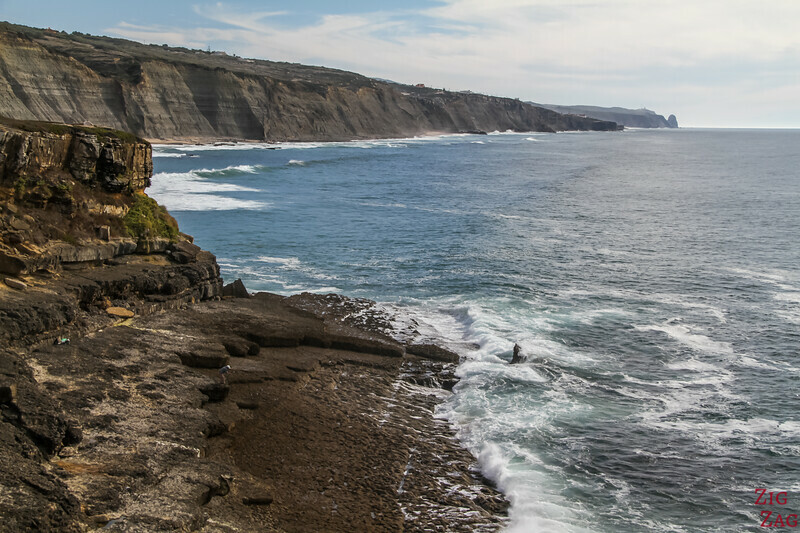 It presents a succession of horizontal layers, showing the formation over millions of years. 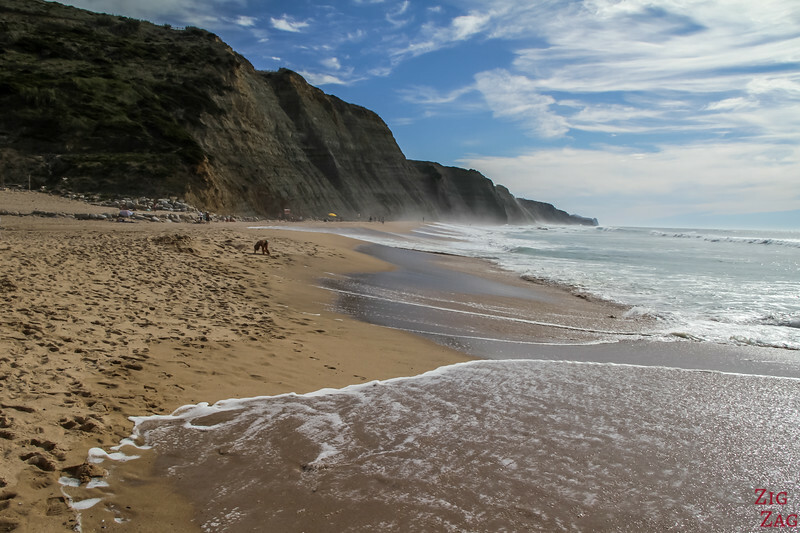 This Portugal beach is facing the Atlantic ocean. 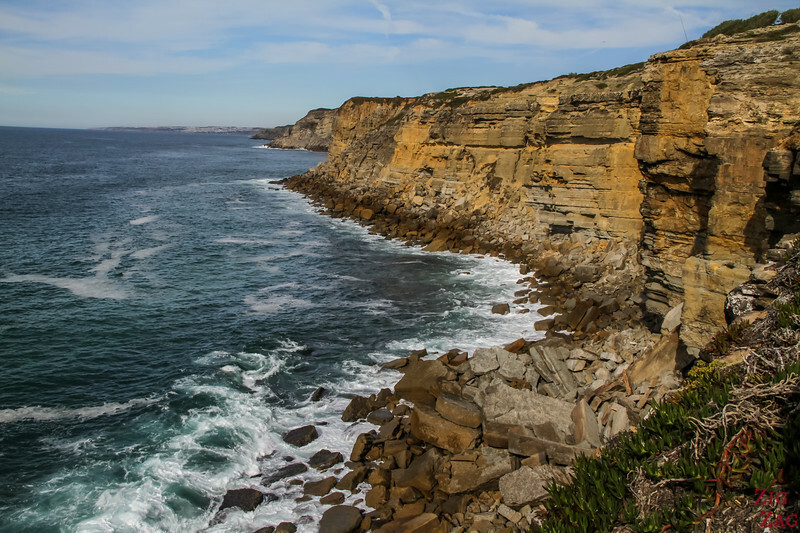 This cliff leads the eye all the way to Cabo da Roca (I will show you better later in the article). 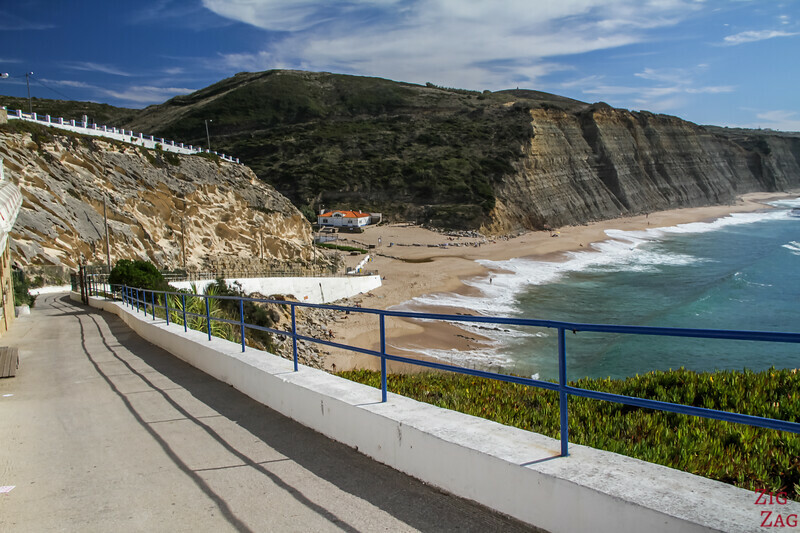 Compared to the many beaches in the Algarve with hundreds of crazy steps to reach the beach (e.g. 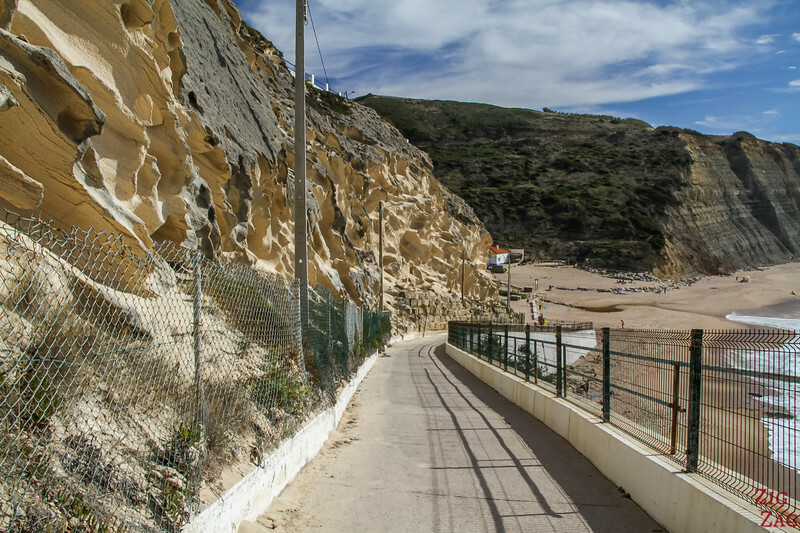 Camilo or Ponta da Piedade), there is a well maintained ramped to access the sand. This is very practical! Plus the access (at the North end of the beach), goes down along a geological particularity. At that location the sand dune has solidified. It is also called a 'consolidated sand dune'. The sand dune was formed by the accumulation of sand from the action of the sea and wind. 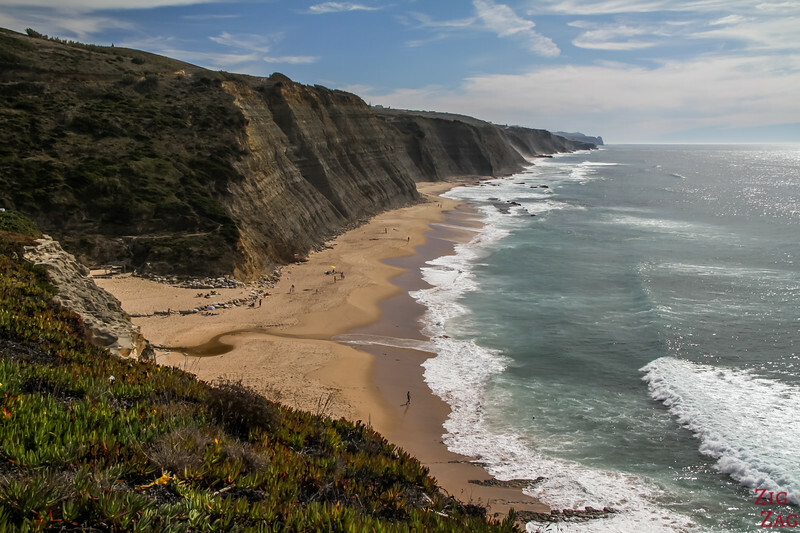 According the the Portuguese Wikipedia Page, it is evaluated that if formed 10,000 years ago. According to New World encoyclopedia, they are called Lithified dunes. It is created when it becomes compacted and hardened. 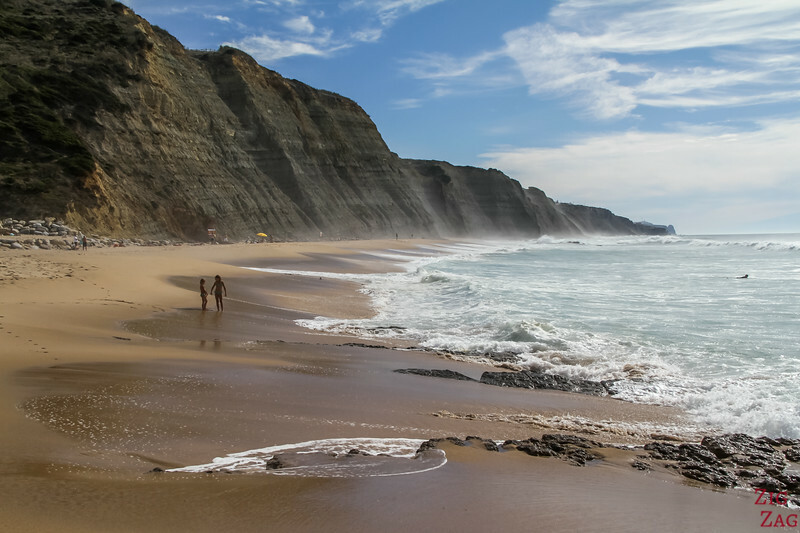 Once on the Golden Sand, the beach is as impressive. For those wanting to bath, it is a mix of sand and stones to reach the water depending on the tide. Ocean water can be cold. Because of the rock, Small pools are created which are great for the kids. 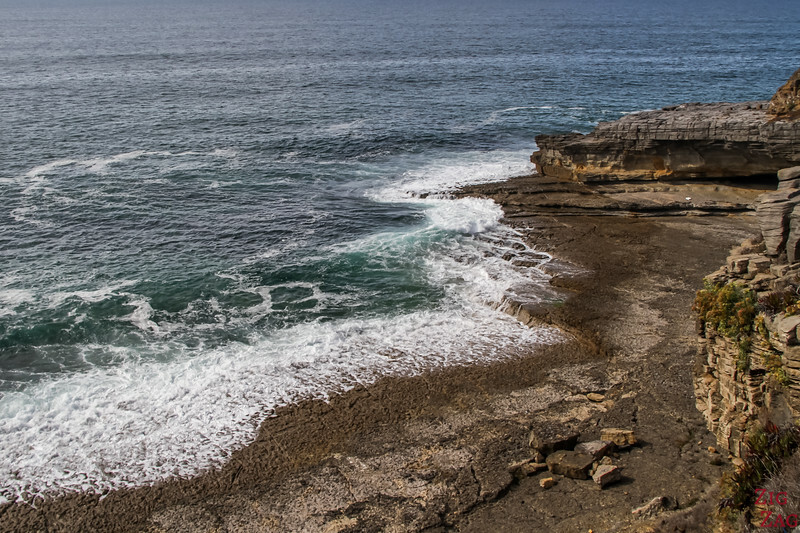 It is considered of the European beaches with the highest iodine concentration. 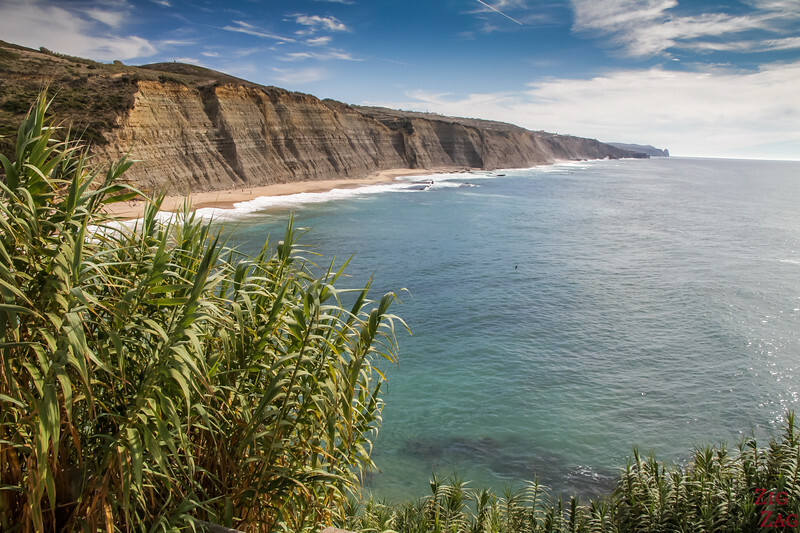 To the North of Praia do Magoito you can continue walking on the cliffs and admire the waves crashing under you. 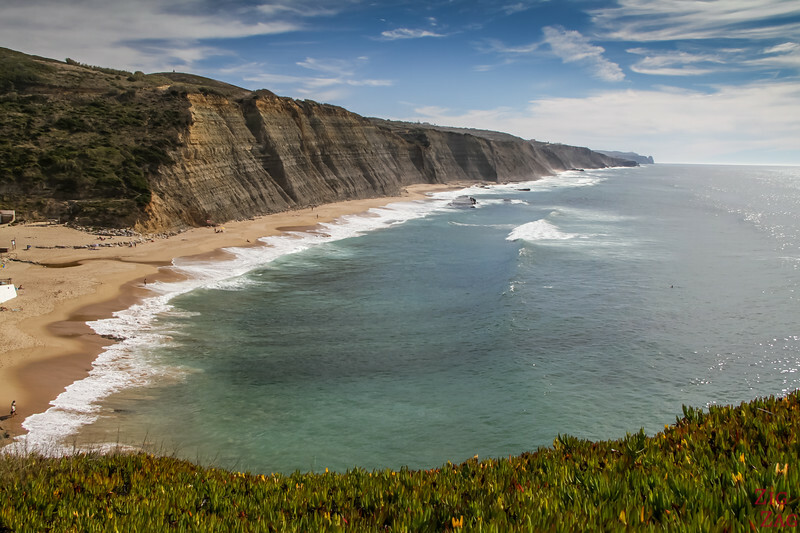 As you can see with the photo below and the zoom after that, the view stretches all the way to Cabo da Roca, the most Western point of Mainland Europe. 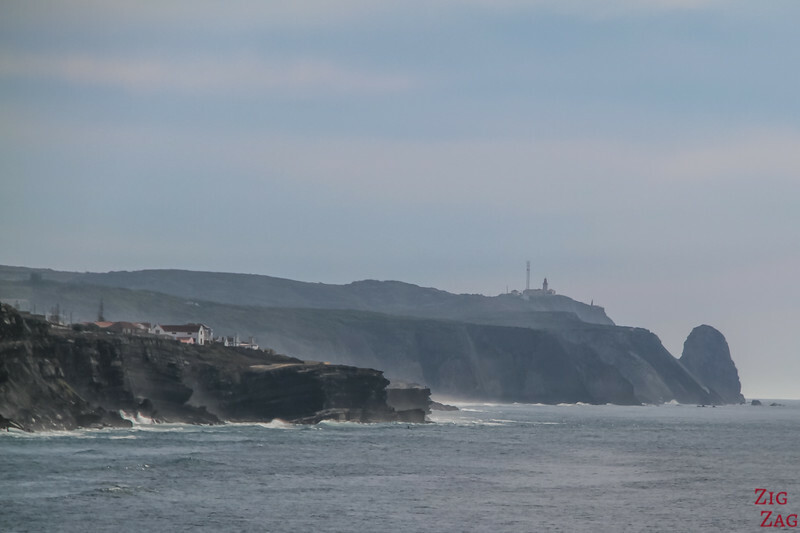 You can see its lighthouse. Don't you find this cliff mesmerizing? 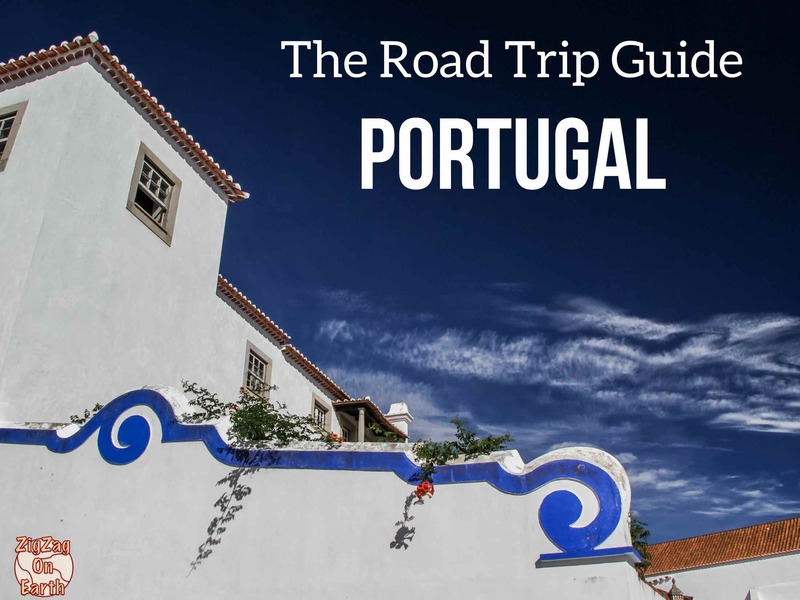 5 Best Villages in Portugal (with Photos) – Charming and Picturesque!